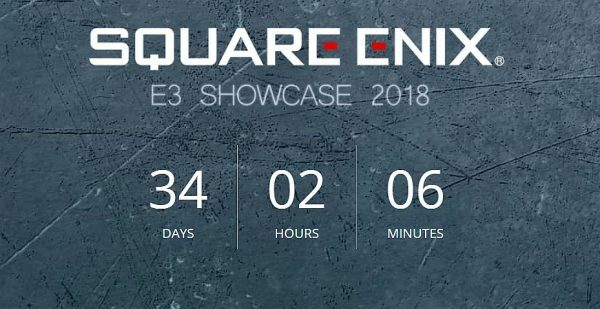 Square Enix has announced when its pre-recorded E3 2018 livestream will air. E3 2018 officially kicks off on June 12-14, but the majority of announcements occur the Monday before on June 11. Unless you’re Microsoft, Electronic Arts and Bethesda. Like Nintendo, Square Enix will air a pre-recorded presentation. It will begin at 10am PDT, 1pm EDT, 6pm BEST, 7pm CEST, June 11. Folks at home will be able to choose various viewing options: Facebook, Mixer, Twitch, Twitter, and YouTube. If you happen to miss the stream, it will be archived for later viewing on YouTube. More information on the presentation, and the titles to expect will be announced at a later date.